For expansive views, a smooth sliding action, and excellent performance, sliding patio doors are a great choice. As a patio door, giving access to your garden or between a conservatory and interior room, sliding patio doors are versatile and accessible. Their durable sliding system is easy to use and will continue to perform at optimum level for many years. Sliding patio doors are great for opening wide on a warm summer day. They can be left open to allow guests to freely move in and out of your home at a barbecue or family party. They are equally suited to the cold winter months when you can sit inside and look out through the large glazed area at a frosty winter garden. With sliding patio doors, the large glazed panels mean that a wealth of natural light can enter your home. This helps to improve your standard of living, creating a feeling of well-being and positivity. 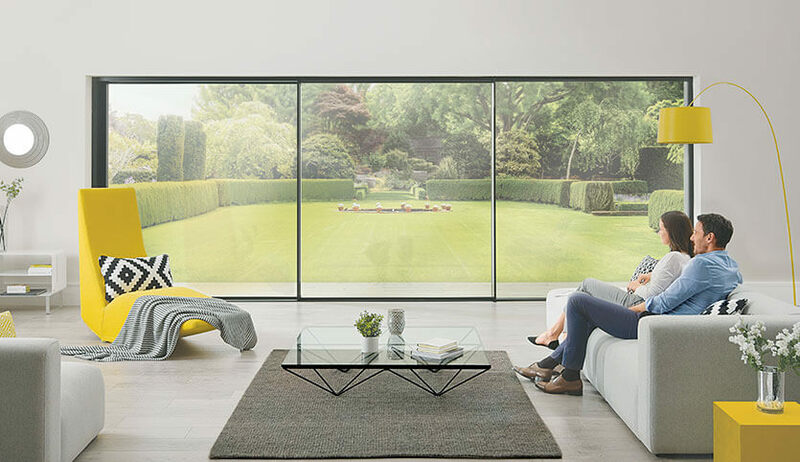 It’s perhaps no surprise that sliding patio doors remain on of the favourite options for UK homeowners. 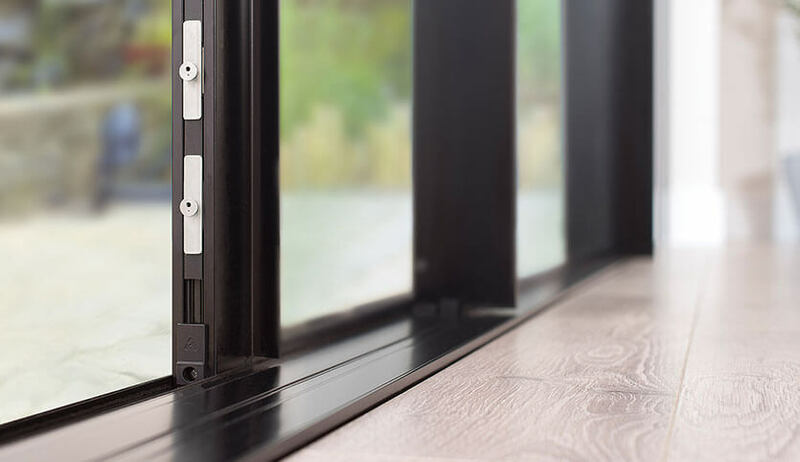 Sliding patio doors from FineLine will help to keep your home safe and cosy. Their efficient frames and high performing glass combine to provide excellent levels of energy efficiency. Multi-point locking systems boost security providing peace of mind that your home is not at risk of forced entry.